We hope our holiday home and facilities will allow you an enjoyable and carefree stay. Our holiday villa is equipped with all the necessities for a comfortable home away from home experience; all for your personal use. The house is an older style Kiwi Villa that has been modernized. The villa has recently been redecorated, and refurbished including new carpets, flooring's, beds. kitchen, and bathroom. There is a Mistsubishi Hypecore heatpump/air-conditioner in the lounge to keep you cool in the summer and cozy in the winter. The bedrooms also include radiators and electric blankets. The house has been rewired and re-plumbed and, It offers a mains pressure hot water cylinder if you like a good shower. The villa offers amazing views of the lake and surrounding mountains from the lounge, kitchen and main bedroom. The large decking has great views of the lake and we have recently included an outdoor kwila table setting and a gas barbecue for outdoor dining. The house now includes free unlimited VDSL Wi Fi. Nearby the local cafe offers, breakfast, meals, and takeaways. Kingston is a very scenic place and is a perfect place to chill out and go for a stroll along the lake. 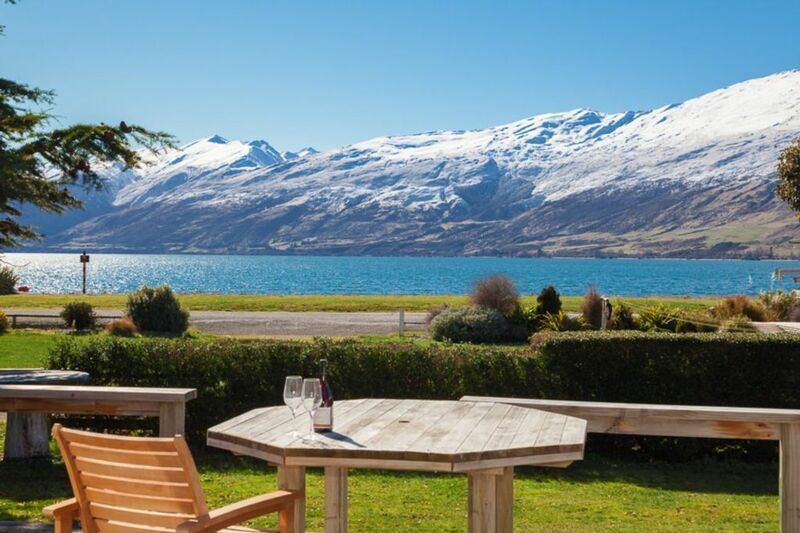 Kingston has a uniquely Kiwi feel and has the convenience of only being a short 35-40 min scenic drive alongside Lake Wakatipu to downtown Queenstown. A very comfortable cottage in a wonderful location. We were so glad we stayed here rather than in Queenstown. The property had everything we could possibly need and I wish we had stayed longer than 4 nights. Very tidy property. Exactly as described and owner very easy to communicate with. Amazing view to the lake. Lovely space; very cozy and tidy. Lovely space; very cozy and tidy. Would definitely stay here again. Quiet, lovely property in a charming community.